Travelling East Timor is (relatively) safe. 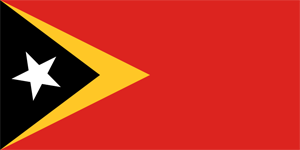 East Timor is a country in Oceania (South-Eastern Asia) with around 2 million citizens and a land mass of 15,007 km². We detected travel advisories from 5 sources for this country. East Timor shares a land border with Indonesia. For this country, the Danger Index is 2.6. See danger map of the region. Exercise normal precautions in Timor-Leste. Read the Safety and Security section on the country information page. Exercise increased caution in Timor-Leste due to violent crime and isolated incidents of civil unrest. "Dili East Timor, Governement house" uploaded by Dirk T.
"Dili East Timor 2005, old Portugese canons" uploaded by Dirk T.
"Dili East Timor 2005, sunset at the port" uploaded by Dirk T.
"Dili East Timor 2005, sunset behind Cathedral" uploaded by Dirk T.